One of the things that you should deal with when you are a blogger is the management of your ad slots. The issue here is not for the beautification of the blog but for the sake of putting everything in order for the improvement of the blog and efficient working. 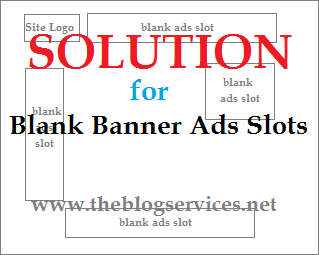 There are instances when Blank Banner Ads Slots appear on your blog or website. And normally, this is the cause of asynchronous ads or Geo Targeted Ads from adnetworks like Adsense, IZEA Media, MadAdsMedia and many more. We have to understand that there are ads that are not in congruent with other ads and you should know that. This is for the benefit of your blog or website in order for it not to contrast with the existing ads that will eventually peril your application and income. If you are not so sure about the congruency and compatibility of the ads, you have to learn more about it. As additional information, you should learn about some of the ways to tweak ads in order to fit to your slot. Remember that you are not just putting an ad on your site for the sole purpose of attraction but you are basically making money out of it. Let us start. Usually, an ads space on our site is made to be an earning tool for our blog, and we can always maximized the use of it. I believe that I am not alone in seeing blank banner ads slot on our site sometimes or most of the time and it is not pleasing to see those bank widgets or that blank ads slot specially for our site visitors., so I will be suggesting two basic solutions to avoid that blank banner ads slot. 1. Add Borders on Banner Ads Slot: By adding border on your ads slot it will show the border even if the ads slot is blank or no ads are showing which will make your site alignment nice to view. Below are the code you need to add on every ads slot you want to add borders, just edit your ads slot widget and add the following codes before your ads code. 2. Add Image Background on Banner Ads Slot: This is useful if you want to show any image on the blank ads slots on your site. Any image will do but make it sure the size is same with the actual ads slot sizes (728x90, 300x250, 160x600). 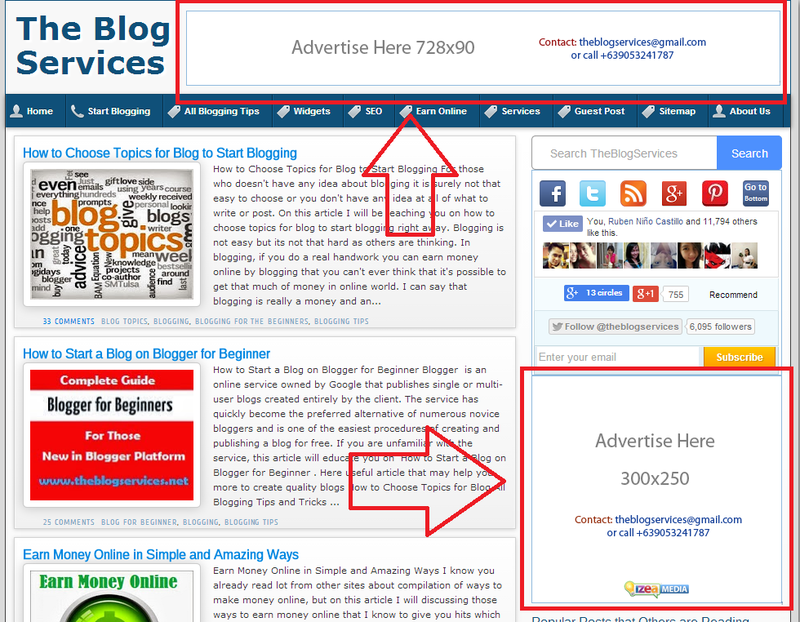 The most useful image to show as background is an "advertise here" banners which can help you to get a direct advertisers on your site, this is what I am using on my blog. http://po.st/tbsbanner can be change to any image you want to add. You can see on this blog the flashing "advertise here" banner image showing on top and side widgets, those are banner ads slot with most of the time are not showing ads due to Geo targeted ads wherein only selected countries or IP can see the ads on that slots. Take note that adding lot of images on your blog homepage or widgets will decrease your website or blog page load speed, so avoid adding to much images. If you believe that maximizing banner ads slot usage is your priority, so then you must consider adding banner image backgrounds on your ads slots. Great tutorial. You of course don't want to highlight that you have a looooot of space available. Yes that's true, thanks for the recommendation. I also think that adding borders will help your ads to stand out drawing your visitors in and making you more money. Thank you for this information! A very clear tutorial and very useful, especially for a beginner blogger like me. Your welcome. 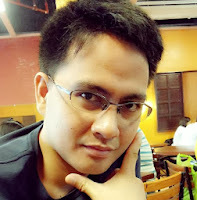 Welcome to the blogging world specially in monetizing part of blogging! ugh. these things give me a headache. It's like a necessary evil. thank you for explaining the ins and outs. your welcome. thanks for leaving a comment! inside the html box to make it blank.